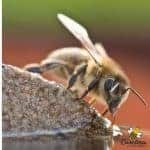 Starting Beekeeping- Are You Ready For A Hive? Perhaps, it is something you planned to do “someday”. 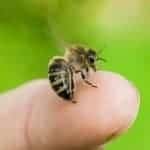 Well, someday is finally here and now you have decided – “I want bees.” Now its time to take your first steps toward starting beekeeping and make that dream a reality. Our honey bees need all the help they can get. We just can not have too many good beekeepers. Being a beekeeper is certainly an attainable goal for most people. However, it does require some attention to detail. Knowledge is power and that is never more true than when applied to beginning beekeeping. You need knowledge – but the right mix of knowledge. You can not learn everything in one year – too much information can be intimidating. 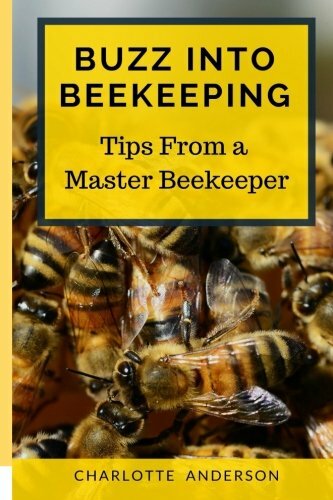 That is why I believe this beekeeping book for beginners gives the right mix of information to get you started with your first beehives. Perhaps, you have been reading all the media stories about the collapse of the honey bee. An interest in beekeeping is a natural fit for people concerned about nature . Your curiosity grows over the next weeks and months. You envision yourself in a crisp white beekeeping suit. (Of course in your dreams that suit remains snow white – let me tell you it does not ! LOL) . Maybe this beekeeping thing is something you can do ? Before getting your first hive of bees, you need to ask yourself some serious questions. What do you hope to get out of this experience. Lets face it ! Beekeeping is cool and a hip thing to do. Beekeepers are heroes – right ? Before you put on that beekeeping suit or light your smoker, we need to consider a few things. Taking the time for some serious planning is one of the most important first steps in beekeeping. Be realistic regarding your time and money investment. If starting beekeeping is something you are determined to try, you need to learn about the bees themselves. I can give you a list of what to buy. And, it is rather easy to get the bees and equipment. However, what should you do once the bees arrive? Let’s discuss some key points to consider before your first bees arrive. Goal setting may seem silly in regards to having a beehive. But, you need to know what your goals are. What do you hope to gain ? Honey production is the goal of many beekeepers. When you produce honey, it is a great feeling of sustainability. Want to sell honey? You will need more hives to do that because not every hive will produce every year. For others, pollination is the draw to beekeeping. A vegetable garden or orchard of fruit trees will yield a much larger crop when honey bees colonies are near. 1 or 2 colonies can provide ample pollination for a home garden or orchard. Maybe you are fascinated by the plight of the honey bee and want to help save the bees. Managing a hive of honey bees will give you an inside look into their world. All of these are good reasons to be involved in keeping honey bees. Being realistic about what you expect is absolutely the first step to beekeeping . Start out with 1 or 2 hives. New beekeepers who begin with 8 – 10 hives are in danger of getting in over their heads. Its Okay – If Beekeeping Is Not Your Thing ! Even though I love to help new beekeepers and want to encourage everyone to learn more about bees, beekeeping is not for everyone. Becoming a beekeeper involves hard work and sweat! Beekeeping is rewarding but not easy be prepared for some hard work. Here in South Carolina, I have to manage hives during the heat of summer. Trust me, it gets really hot in that bee suit in July ! 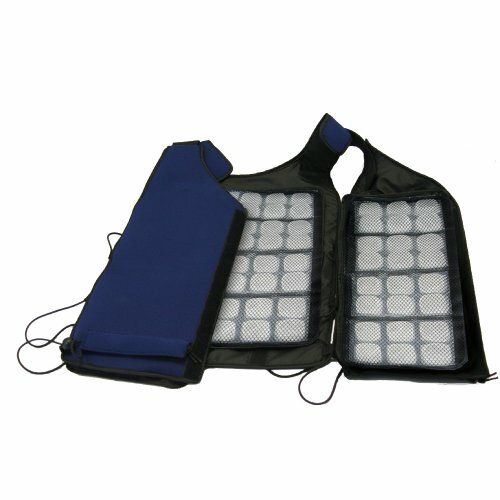 I actually own a cooling vest like this one. It is a little heavy and not inexpensive but it works. Sometimes, I need to do work in my bee yard when it is very hot. Honey bee colonies are much different than bird houses. You can not simply place the hive out in the yard and expect the bees to take care of themselves. Thirty years ago, this type of hands off beekeeping was possible. It’s okay to say no. If you decide keeping bees is not for you right now, that’s okay ! The world is full of so many wonderful activities. We can not do everything in life. You can still help the bees by planting nectar or pollen producing plants. Support small scale beekeepers (like me – shameless promotion – I know ) by buying honey or other hive items. But if you have really been “bitten by the bee bug” – you are ready to proceed. Finding the support of a local beekeeping club is an immeasurable resource. The internet is a great source of information. 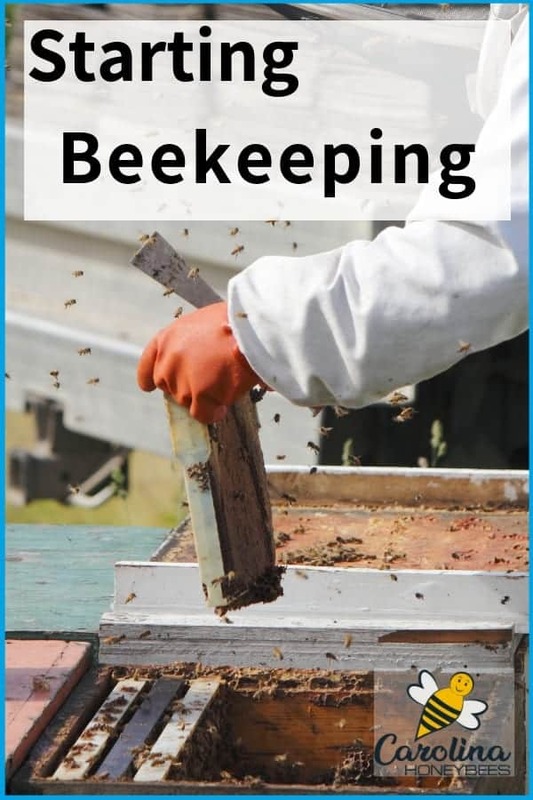 You will find numerous beginning beekeeping videos and articles online. Don’t believe all of it. It is very important to get the basic facts down before the bees arrive. Fall is a great time to begin your beekeeping journey. This will give you several months to read and make plans. Most new beekeepers receive their bees in early Spring. 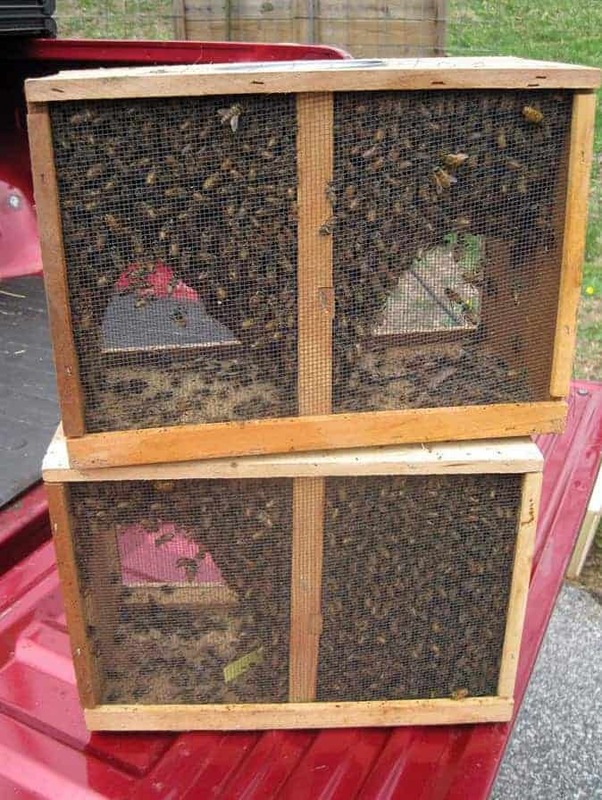 ** Warning – What works in New England may not be a good idea for a beekeeper in Florida. Beekeepers new and old alike have several options for purchasing honey bees. Honey bees can even be mailed through the US Postal Service. 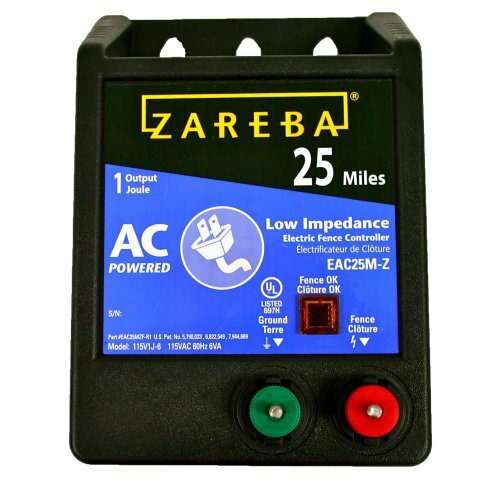 This option is best for beekeepers who do not live close enough to a bee farm or supply to enable a physical pickup. For those of you lucky enough to have a beekeeping supply store within driving distance, I recommend picking up your bees in person. Pick up saves the honey bees from the stress involved in shipping. 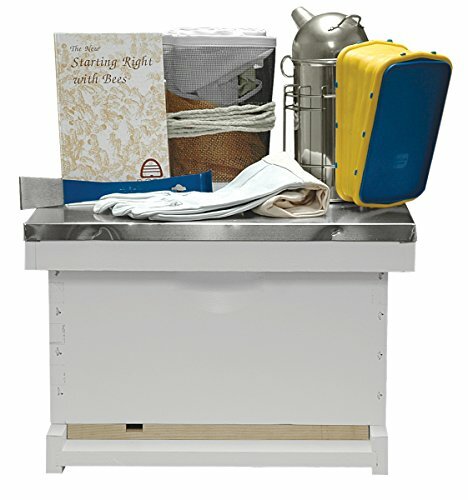 Beginning Beekeeping Kits are a popular way of purchasing the essential tools & equipment needed. A new beekeeper needs everything from bee smoker to hive tool. These kits are a good value if they consists of items you really need. Purchasing items you will never use is a waste of money. This is another time when having an experienced beekeeper for advise comes in handy. Do not wait until Spring to look for honey bees to buy. Just like tickets to the best concerts, honey bees are subject to selling out ! There are several options for purchasing your first families of honey bees. One of the first steps in beekeeping: order your bees. You might buy a complete established hive of bees complete with queen. Some beekeepers will purchase a “nuc” (short for nucleus). You will get enough bees (and the frames/honeycomb) to fill 1/2 of a normal size bee hive. Package bees (normally 3# size) is the most common way to begin beekeeping. Each way of obtaining bees has advantages and disadvantages. You may even catch wild bees but don’t count on it. You can read more tips for getting your first bees another one of my posts : click here. What Does It Cost To Start With Bees? Beekeeping is not an inexpensive undertaking in the beginning. A new beekeeper can expect to pay several hundred dollars per hive at start up. You will need to purchase a few beekeeper tools. New beekeepers often want to buy used equipment to save money at start up. Purchasing used beekeeping equipment is risky. Proceed with caution and only buy from an experienced “successful” beekeeper. There is always a risk of disease in used equipment. The bees will need a hive to live in and store honey. If you are like me, you will want a beekeeping suit or jacket. I do recommend a hat and veil as a minimum of safety equipment. Many of the items you buy will last for years. Using the resources in your support group, choose the best location for your beehives. The hive should be assembled painted and in place before the bees arrive. Are your bees safe ? If you live in an area that has bears, be forewarned. Bears like honey and they absolutely love to eat bee brood (baby bees). 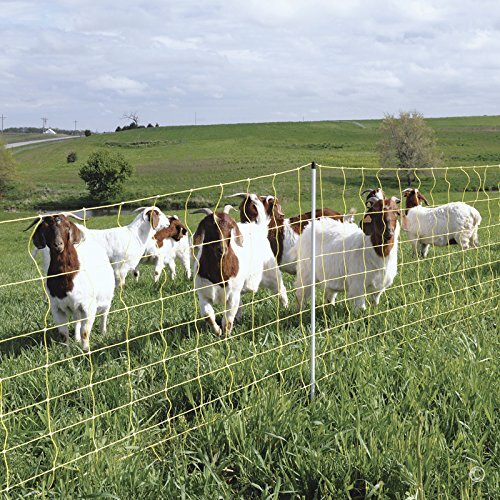 Your best chance for success is to have a strong electric fence in place before the bees arrive. It is very difficult to stop the bears from destroying your hives once they get started. 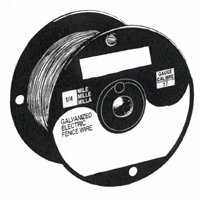 An electric or solar powered fence charger, some strong posts and a tight wire fence is a necessity if you live near bear country. Luckily, I have not yet had a bear attack. I do have a fence in place. Just trying to do what I can to protect the bees. You will never taste honey that is better than the honey that you produce. It is a feeling like no other. Taste just does not get any better. After starting beekeeping, many new beekeepers become enthralled with the world of the honey bee. They fall in love with all things “bee”. Enjoy your beekeeping journey, it will have ups and downs. Many new beekeepers get discouraged and quit. But for those of us who stick with it, the magic of the beehive is never ending. I love just sitting beside my beehives and watching the bees. If beekeeping gets in your blood, I don’t think it ever leaves. Starting beekeeping may become one of the greatest adventures in your life. I am very interested in starting my own beehive. I live just outside Lexington SC. Any help would be appreciated. I tried joining your Facebook group however I couldn’t scroll down pass the third question. Am I doing something wrong? Sorry Thomas, Facebook can be glitchy sometimes. You might try again. I live in lebanon fall season temperatures varies between 19 and and 23 degree celcius. I realise a slower activity in one of my colony, varoa was the reason. I started healing all hives with apivar in 23 october, and the lazy colony i put candy to tease the queen to lay eggs. But till now the week colony still didn’t get better, the queen started to lay eggs but not enough, as i expected. There is a beekeeping shop that imported new mated queen from Argentina. Is it a solution to change the queen or it is better to wait for the apivar 4 more weeks. knowing that it is the second year for the queen. Carolina honey bees Very intresting website and i have registered for you newsletter. Hi Antoun, You can change the queen. But your hive will still need time to recover from varroa mites. If it is able to recover from the varroa infestation, that will take several weeks. Sometimes a colony can not recover from a heavy mite problem. Even when you remove all the mites, you still have sick bees until that are affected by the viruses etc. Also, your queen will only lay as many eggs as she has workers to care for. If your population is low, it may not be her fault. But since she is older, you may decide to go with a new queen if you still have a large enough population to carry the hive forward. Best of luck to you.